Sudan’s military overthrew President Omar al-Bashir on Thursday after months of bloody street protests over his repressive 30-year rule. But pro-democracy demonstrators were left angry and disappointed when the defense minister announced the armed forces will govern the country for the next two years. Al-Bashir’s fall came just over a week after Algeria’s long-ruling, military-backed president, Abdelaziz Bouteflika, was driven from power. Together, the developments echoed the Arab Spring uprisings eight years ago that brought down entrenched rulers across the Mideast. But like those popular movements of 2011, the new ones face a similar dynamic — a struggle over what happens after an autocrat’s removal. Protest organizers in Sudan denounced the army’s takeover and vowed to continue rallies until a civilian transitional government is formed. Tens of thousands of demonstrators were massed at a sit-in they have held for nearly a week outside the military’s headquarters in central Khartoum, the capital. Ibn Auf said a military council that will be formed by the army, intelligence agencies and security apparatus will rule for two years, after which “free and fair elections” will take place. In the wake of the coup, international human rights groups urged Sudanese military authorities to hand over the 75-year-old al-Bashir to the International Criminal Court, where he faces charges of war crimes, crimes against humanity and genocide for his deadly campaign against insurgents in the country’s Darfur region. “We routinely called and will continue to call for member states to have full cooperation with the ICC, consistent with the Security Council resolution,” StéphaneDujarric, a spokesperson for the secretary general of the United Nations, said Thursday. The protests — involving a mix of young activists, students, professional-employee unions and opposition parties — were initially fuelled by anger over the deteriorating economy but quickly turned to demands for the president’s ouster, and gained momentum last week after Bouteflika’s resignation in Algeria. Word of al-Bashir’s removal emerged in the morning, when state TV announced that the military was about to make an “important statement,” and two high-ranking officials told The Associated Press that al-Bashir had been ousted. 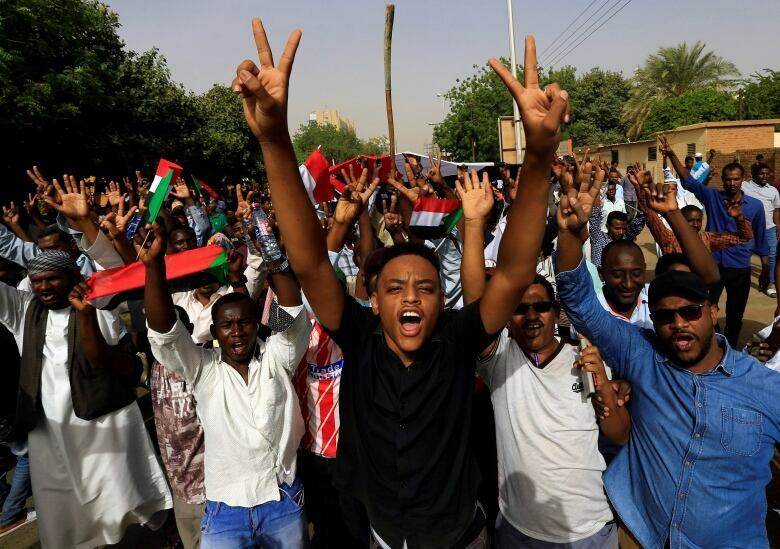 That prompted thousands of protesters to march toward the center of Khartoum, cheering, singing and dancing in celebration. 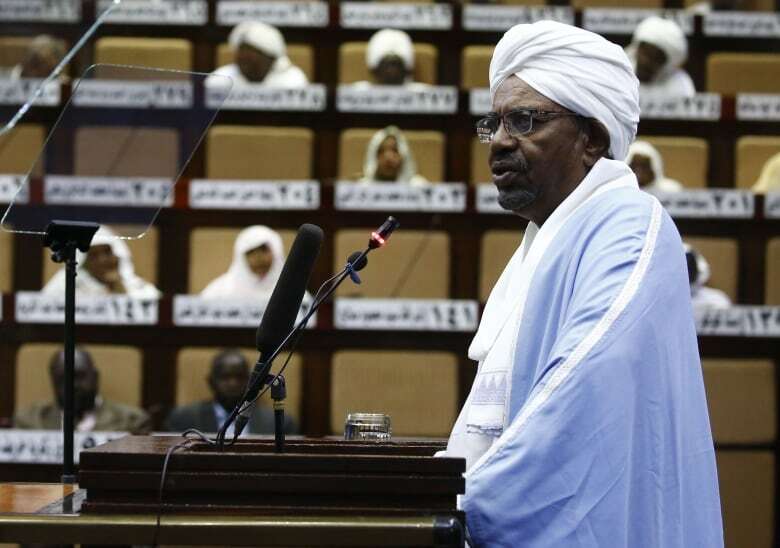 The announcement finally came hours later from Ibn Auf, a key power figure in al-Bashir’s regime. “The poor became poorer and the rich became richer. Hope in equality has been lost,” Ibn Auf said. After Bouteflika’s fall, the Khartoum protesters launched the sit-in, and the clampdown grew bloodier, with at least 22 people killed since Saturday.